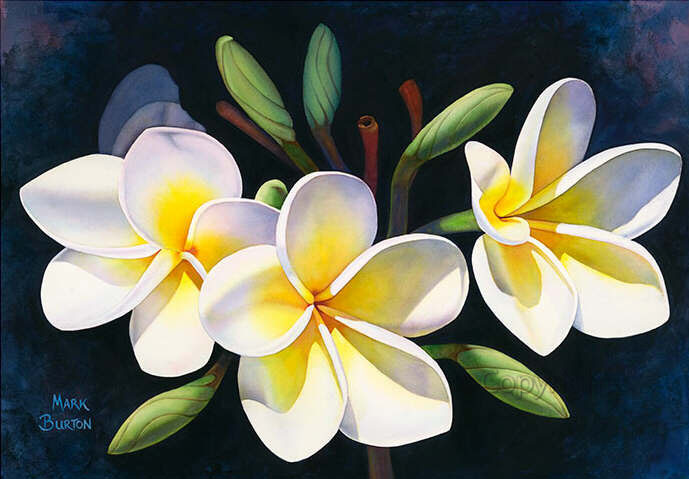 It becomes challenging to present Frangipanis in a different way. I liked the contrast in this painting. Custom sized prints on canvas of this work are available.